The US is now actively supporting one of its oldest allies in the Asia-Pacific. This week the Defense Security Cooperation Agency (DSCA) announced a package of aircraft spare parts worth $330 million. These are for the ROC Air Force’s C-130 medium transports, F-5 and F-16 multirole fighters, and the Ching-kuo twin engine multirole fighters. This is the latest proof of Washington, DC’s commitment to lessening China’s clout in the region by helping its main adversaries. With delays in US military assistance to Taiwan having diminished its military’s readiness during the 2000s, under President Tsai Ing-wen the island nation is rebuilding its armed forces on a much greater scale than before. Since 2017 Taiwan has launched programs for an indigenous “light” fighter, an anti-ballistic missile defense network, and submarine construction. 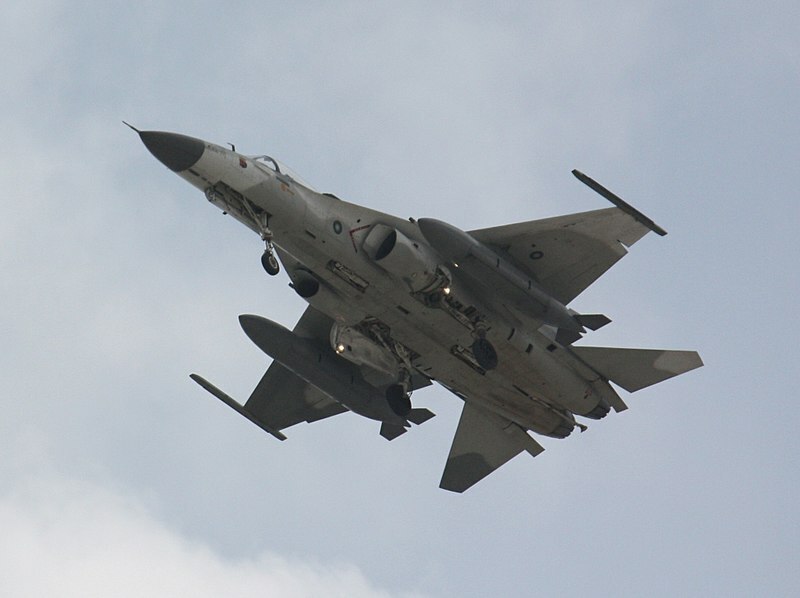 The DSCA no longer enumerated the spare parts it was “buying” for Taiwan’s air force but the scope of the package may involve up to 300 aircraft. The majority comprise the F-16 Falcons and the Ching-kuos that are Taipei’s first line of defense against an invasion from the mainland. But this modest fleet is overshadowed by China’s own air force and its several hundred new J-10B and J-11B multirole fighters and almost a hundred Su-30MK2’s bought from Russia. It’s clear Beijing now enjoys the upper hand and the pressure on its “rogue province” may prove impossible to resist once the PLA’s newest aircraft carriers enter service and full squadrons of fifth-generation stealth fighters are organized. This can explain why air-launched cruise missiles, missile corvettes, and submarines are now Taipei’s priorities. Since US military assistance is constrained by decisions Taiwanese officials can’t influence, its recent military projects are almost independent from Washington, DC’s support. The Wan Chien air-launched cruise missile, for example, is meant to travel inside hostile airspace and eliminate fortified ground targets–hardly a defensive weapon. Like the Ching-kuo multirole fighters that will carry it, the Wan Chiens are locally made, although whether they have foreign-made parts or not can’t be ascertained. A recent scoop from a maritime exhibition showed how far Taiwan’s military is preparing for its perpetual war scenario. A 10,000 ton amphibious assault ship that can transport a battalion of marines is now under construction and the navy are deploying four of these in the coming decade. The assault ships’ defensive armaments combine US close-in weapon systems with locally made SAMs. As if having a few expeditionary vessels weren’t enough, Taiwan’s defense ministry has a separate program to build destroyers equal to the US Navy’s Arleigh Burkes. Putting its naval aspirations in perspective–destroyers, missile corvettes, amphibious assault ships, and submarines–it’s apparent the endgame is a genuine offensive capability strong enough to check Beijing’s aggression. But even with fresh military aid from the US, the ROC Air Force faces a future of diminishing returns. The arrival of the J-20 stealth fighter and the J-15 carrier-based fighter bodes ill for the branch’s effectiveness. If Taipei’s defense ministry decides a true fifth-generation air platform is needed, lobbying for F-35A’s and the requisite technology transfers might not work. At this point rare window of opportunity presents itself. With fifth-generation fighter programs being drawn up across Asia and Europe, the first resort is for Taiwan to find a partner it can trust. In the meantime, its current air fleet must remain in tip-top shape.